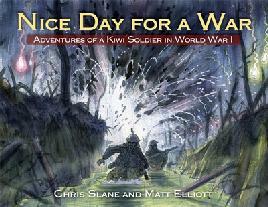 The finalists in the 2012 New Zealnd Post Children’s Book Awards were announced today. 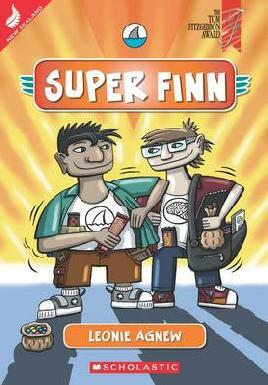 These are the awards for the best books for children and young adults in New Zealand and they are awarded every year. 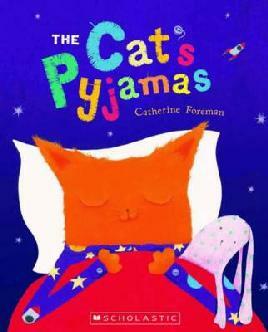 There are four categories – picture books, non-fiction, junior fiction and young adult fiction. Which ones are your favourites? Who do you want to win? Shaun Tan, Margaret Wild, and Chris Van Alsberg are some of the masters of sophisticated picture books. Their stories are told through both words and pictures and they make us think and question. Edge of the World is a stunning new sophisticated picture book by Ian Trevaskis and illustrated by Wayne Harris, about grief and the power of art to heal wounds. Edge of the World is about a small fishing village near the edge of the world where ‘the wind shrieked and howled through the empty streets and women and children huddled closer to their hearths,’ and where nobody smiled. While other fishermen talk about their adventures, Toby McPhee keeps to himself and tries to forget what has happened. Everyone in the village gets on with their lives; the women pray for the boats’ safe return and the children trudge to school. Everything changes one day when Toby McPhee hauls in his fishing net and discovers more than just fish. Each time he returns home with tiny pots of paint, which he uses to bring colour back into his life and the lives of the villagers. Edge of the World is a magical story full of colour and hope. Ian Trevaskis’ writing style is very descriptive and paints a picture for the reader, even without Wayne Harris’ illustrations. You can sense the sadness of the village and it’s inhabitants from the opening lines, but the tone lightens as more colour gets introduced to the village. Wayne Harris‘ illustrations are absolutely beautiful and it’s hard to believe that they were created digitally. Wayne’s use of colour is very important to the story and he has shown this in the change in colour palette throughout the story. In the beginning the colours are very muted and dull, but they get progressively brighter as the mood of Toby and the villagers change. I’ve read this book at least 5 times so far and have got something new from each reading and viewing of the story. It is a perfect picture book to study as a class (especially Year 7/8) as there as so many different aspects of the story, from the use of descriptive language to symbolism of different colour, that you could explore. Walker Books have even created Teacher’s Notes to use with the book. Books have that amazing power to shape how we see the world. They put us in other peoples’ shoes so that we can see the world from different points of view. The books I read while I was in high school were some of those that had the greatest affect on me and taught me a lot about the world. They taught me about empathy because there seemed to be plenty of teenagers with lives that were completely different and far worse than mine. All these years later I still discover books that have a real effect on me and make me look at the world differently. R.J. Palacio’s new book Wonder is one of those books. August Pullman (or Auggie to his friends and family) wants to be an ordinary ten-year-old. He does ordinary things like eating ice cream, riding a bike, and playing Xbox. He feels like an ordinary kid on the inside, but outside he’s very different. He was born with a facial abnormality and he says ‘I won’t describe what I look like. Whatever you’re thinking, it’s probably worse.’ Auggie has been home-schooled for most of his life but now he’s being sent to a real school, and he’s petrified of it. Some kids will be kind, some will be horrible, but will they accept August for who he is, a normal kid just like them? Wonder is a funny, touching, and thought-provoking story of an extraordinary boy who just wants to fit in. The majority of the story is narrated by August who is a really cool kid. R.J. Palacio has got the voice of a 10-year-old boy spot on and he comes out with some interesting observations. Through August’s eyes you see what life is like for a boy who looks very different from those around him, even though he’s just a normal kid on the inside. You experience August’s pain, anger and humiliation, as well as joy and laughter. The thing I liked most about Wonder is that, as well as August’s perspective, you also get the perspective of some of the other characters, including August’s sister Olivia (or Via) and his friend’s Summer and Jack. R.J. uses lots of foreshadowing, so something that August might mention in passing is a significant event to one of the other characters, or you’ll notice little details that make more sense later in the story. The different perspectives also helped to explain a character’s behaviour, especially in the case of August’s friend, Jack Will. I also really liked the way that adults were portrayed in the book. August’s parents were very caring and loving, and so were the teachers at his school, but some of the other parents had quite different attitudes. Wonder is a book that everyone should read and that everyone will take something different from. It should come with one warning though – have a box of tissues close at hand while reading. 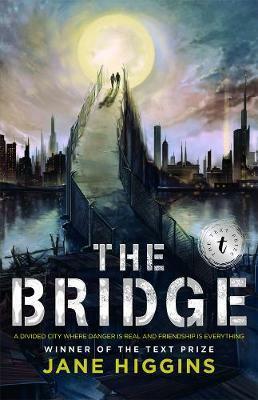 It would also make a great read-aloud to share with an intermediate class and would lead to lots of discussion. One megalomaniacal villain is bad enough. Two might succeed in turning mankind into a hive where individual identity is a thing of the past. With nanobots as their weapon of choice, conjoined twins Charles and Benjamin Armstrong will stop at nothing to evolve the human race in their own image. 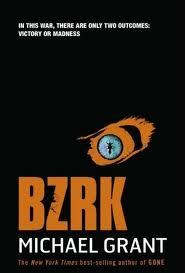 Only BZRK can stop them. Led by the anonymous Lear, the punk organization called BZRK battles the twins and their sinister Armstrong Fancy Gifts Corporation with genetically engineered creatures… biots. Created by maverick scientist Grey McLure, biots are fused with human DNA and controlled through the mind. When biots are injured or killed, their host’s sanity disappears forever. How far are you willing to go to save mankind? Roll the dice. Take the risk. Go BZRK. The sequel to the 2009 Text Prize-winning This Is Shyness is about the difficulty of recreating the past—about how the Darkness no longer sets Wolfboy and Wildgirl free. ‘We’re coming. The martyrs are awakening. Spirits are gathering. This will be our time…’ In York and London, strange shapes are taking form, emerging from the shadows. And who is the man who lies in a pitch-black room, listening to a voice that seems to speak from the darkness itself? Jud Lester knows that something evil is afoot. He also knows that it can’t be investigated by any normal brand of counter-intelligence…This is a case for CRYPT: a team of elite teenage agents who use their extra sensory perception and arsenal of high-tech gadgets to investigate crimes that the police can’t solve. Ever since John Schu (@MrSchuReads) and Colby Sharp (@colbysharp) of the Nerdy Book Club started raving about R.J. Palacio’s Wonder I couldn’t wait to get my hands on a copy and find out what made this book so amazing. The wait was definitely worth it and I’m loving this wonderful story. WONDER is the funny, sweet and incredibly moving story of Auggie Pullman. Born with a terrible facial deformity, this shy, bright ten-year-old has been home-schooled by his parents for his whole life, in an attempt to protect him from the stares and cruelty of the outside world. Now, for the first time, Auggie is being sent to a real school – and he’s dreading it. The thing is, Auggie’s just an ordinary kid, with an extraordinary face. But can he convince his new classmates that he’s just like them, underneath it all? Through the voices of Auggie, his big sister Via, and his new friends Jack and Summer, WONDER follows Auggie’s journey through his first year at Beecher Prep. I have one copy of Wonder to give away. All you have to do is enter your details in the form below and I’ll randomly pick a winner. Competition closes Wednesday 29 February, 2012. Open internationally. On the Nightstand (http://onthenightstand.net/) on Thursday 22 March. Fangbooks (http://fangtastic.co.nz/) on Friday 23 March. Claudia is doing one public event in Auckland. Come and meet Claudia live on Saturday 31 March 2012 at 2pm at Next Page Please bookstore, 445 Lake Road, Takapuna, Auckland. For more information please call: 09 486 2453. 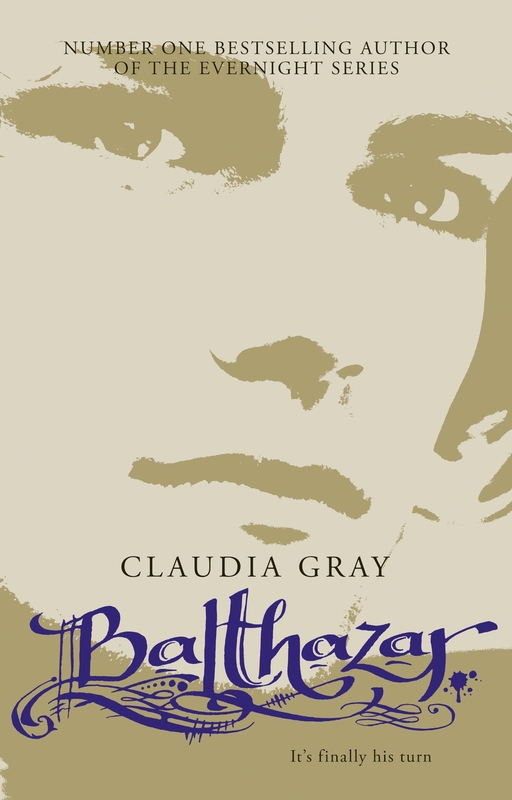 The latest book in the Evernight series, Balthazar is coming in March from HarperCollins New Zealand. If you have any questions you’ve been dying to ask Claudia and won’t get the chance to see her in Auckland, post your questions here and I’ll pass them on. Back in November 2010, Des Hunt told us on the Christchurch Kids Blog about a new story that he was working on, which he thought would be called Steel Pelicans. He told us all about the characters, the setting and a little bit about the plot, but he didn’t know whether it was going to get published. 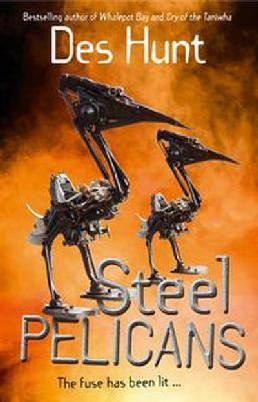 I’ve loved all of Des Hunt’s books so far and Steel Pelicans sounded like a really great story. I was really excited when I found out that HarperCollins NZ were going to publish Steel Pelicans and I knew that it would be full of the action, adventure, New Zealand locations, and great characters that are always part of Des Hunt’s stories. Steel Pelicans is a classic Des Hunt story with all the adventure, mystery and danger that make his stories so good. His stories are usually set just in New Zealand but this story starts in Australia as that’s where the two main characters are from. One thing I like about his stories is that they have a real Kiwi feel about them and they’re set in different parts of the country, from the Coromandel to the West Coast to Port Waikato. He always adds an ecological message into the story and this time it’s about fishing and Paradise Ducks. I always finish his books knowing that I’ve read a great story and learnt a little bit about New Zealand wildlife at the same time. I really liked the characters of Pete (or Pelly) and Dean. They’re almost complete opposites but somehow are still best mates. I liked how Des Hunt added a second friend into the mix because it created some conflict between the three boys. Des Hunt also really knows how to write scumbag villains, whether they’re gang members or drug dealers, and you can imagine that they’re the sort of people who might live in your neighbourhood. If you’re a fan of Des Hunt’s books you’ll love Steel Pelicans, but if you haven’t read any of his books then this one is a great one to start with. 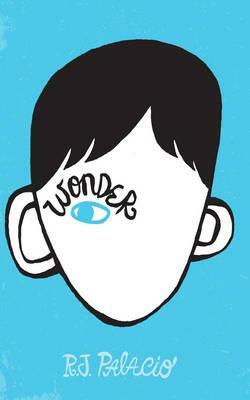 R.J. Palacio’s brilliant new book Wonder has just been released in NZ. It’s an incredibly unique and wonderful story so grab a copy from your library or bookshop.